Market research is a "secret weapon" because so many people neglect to do it. Knowing your book's potential market can help distinguish you as a writing pro versus an amateur. Thorough market research helps you look good to agents and editors and can help your book successfully reach its target audience. If you understand exactly how your book fits into its marketplace of readers, you are ahead of the game in getting your book published. To clarify – this isn't about the research needed for the writing of the book. This is about the research needed "position" your book in a query letter or book proposal or to help you target readers for a self-published book. I'm not alone in thinking far too few people do their market homework. In an interview with children's literary agent Elizabeth Harding, I asked the Curtis Brown Vice President, "What would you tell writers who aspire to write children's books?" She replied without hesitation, "I'd ask them: 'Have you read any lately?'" Her point was that it's not enough to have a creative impulse. Book publishing is a business and, like every media business, there are traditions, conventions, hot topics and trends that change constantly. If you are serious about being an author, it's your business to know what's current and where your book fits into those. Luckily, the Internet makes it easy to do research. For example, searching on Amazon.com will even give you books that are publishing in the future a bit, so you know what's coming. And the go-to industry Publishers Weekly and its various organs can help keep you up-to-the-minute with news on what's going on in publishing and in the bookstores. What's out already there? Is what's out there selling well? My own first book was with co-author Janice Fryer about cookie decorating. We'd both been good bakers and I'd been in the cookbook publishing business — but when Janice (who is in book sales) asked me to suggest a cookie decorating book for design inspiration, I couldn't think of a single one. I started to research the topic and, as it turned out, there were two robust cookie decorating books available at that time and a number of books that had some cookie decorating content, but nothing seemed quite what we were looking for in our own baking efforts — and we realize there might be a hole in the cookie decorating market. What does your particular book idea bring to the marketplace that similar titles don't? This is the question you need to ask yourself. Competition isn't a bad thing - a number of books on the market mean there's actually a market. But your goal in knowing the competitive books inside and out is to be able to spell out in your query letter or book proposal why the book you will write is different and better than what's already out there. Chances are you'll need to get your hands on the actual book from a bookseller or a library. If you're a genre novelist, you need to know who else is writing in your paranormal / mystery / romance space. This is because a whole host of people in publishing companies and on book blogs are going to want to compare your work to someone else's so that readers get an idea if you're "for them." 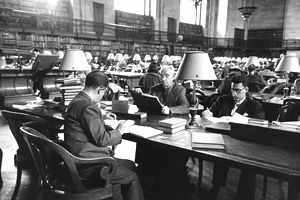 Researching the current literary agent market is prudent and highly advised. You want to make sure that the person you approach represents the kind of book you're writing, and that he or she is properly credentialed. Use literary agency websites and social sites like LinkedIn will help you research the agents and editors who are most likely to respond to your work for when you send out that brilliant query or bulletproof proposal.